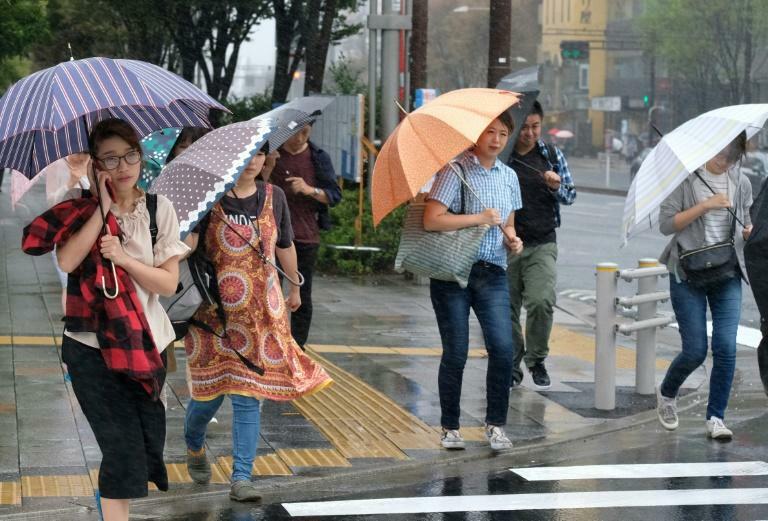 A powerful typhoon was churning towards Japan on Wednesday, prompting the weather agency to warn of heavy rain and strong winds and forcing airlines to cancel scores of flights. Typhoon Shanshan was expected to move along the Pacific coastline just east of Tokyo Wednesday night through early Thursday, sparking fears the busy morning commute in the capital could be disrupted. "There are also risks that it may make landfall," it said, warning the storm could dump 350 millimetres (14 inches) of rain on the greater Tokyo region over the 24 hours by Thursday noon. The local government said Wednesday evening it had not received any reports of injuries or structural damage related to the typhoon. 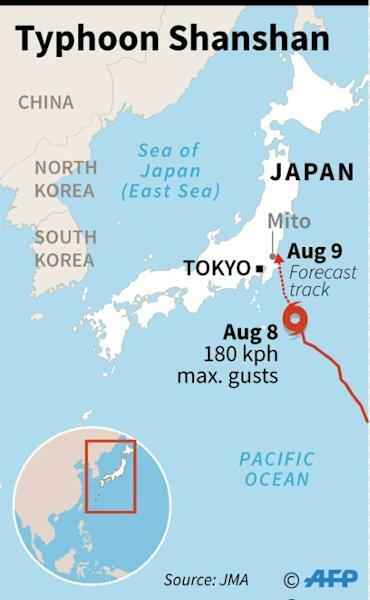 The slow-moving storm, packing maximum gusts of 180 kilometres per hour (112 mph), was estimated to be 110 kilometres (70 miles) southeast of Katsuura city in Chiba at 1300 GMT, the weather agency said.